I have done my best for this federal government and have tried hard to find merit in the recently proposed changes to the tax system. My recommendation to readers in the last federal election was to vote for Justin Trudeau, whom I like personally and did a splendid job rebuilding the federal Liberal party from a status as an unofficial opposition with fewer than 20 per cent of the vote in the 2011 election to a majority government, an achievement unprecedented in Canadian federal elections. Stephen Harper had provided pretty good government but had become a Frankenstein monster who terrorized his cabinet and caucus, insulted the country with an absurd campaign, and would not listen to anyone about anything. Justin Trudeau was and remains a most amiable man — what you see is what you get and it is impossible not to like him. Claims that he was an airhead with a pretty face and a famous name were shown by him to be nonsense and the country was right to reject that argument. It remains my view that my recommended vote almost two years ago was the correct one, as it was in the two previous elections to vote Conservative. It need hardly be added that the New Democrats, despite an engaging effort by Jack Layton and a solid professional performance as leader of the opposition by Thomas Mulcair, who deserved better than the virtual assassination he has received from the Neanderthal left of his (hastily adopted) party, cannot possibly be entrusted with the government of the country. They can't get more than a term at a time at the head of a prosperous province, and could not, altogether, run a two-car funeral, which is what this country would receive if the NDP were in charge of it for long. Seen from this perspective, the strongest argument to be made for the proposed tax changes, and presumably one of the motives for them, is that they should slice the NDP off at the ankles in the eyes of all those who oppose commerce in general as grubby, and wealth accumulation, the transfer of what wealth people have made to their heirs, and any planning to moderate taxes as greedy and uncivil. I don't doubt that those responsible for this initiative have analyzed it carefully from a tactical political standpoint and believe that the government will pick up more votes than it loses. I have no standing to contradict them, and learned many decades ago not to underestimate the envy and malice of vast sections of the public, but I am not so sure. Like all people in this country, I have been waiting for this government to do something important, apart from the partial legalization of marijuana, after taking office from a regime that had become so dyspeptic and sclerotic and cranky, it could not even fill vacancies in almost a quarter of the Senate. The proposed tax changes are important and groundbreaking, but after careful study, I must conclude that they are almost entirely bad for the country. They constitute a violent assault on small business, the self-employed, private companies, and individual tax-paying high income people such as lawyers, as well as on financial continuity in families. In a word, it is an assault on the whole range of traditional values, though it is, like all tax increases, dressed up in the threadbare raiment of fairness and elimination of "loopholes," which have come to mean any abatement of taxes on all categories of income below about 90 per cent. If I believed that the Prime Minister's strategists had really got over their intellectual life support connection to former Dalton McGuinty and Barack Obama political strategist David Axelrod, I could believe this seismic lurch to the left was because they saw that U.S. President Donald Trump was going to bring in his tax changes and achieve 3.5 per cent economic growth, raising the North American tide no matter what crown of thorns was impressed on the perspiring and hoary heads of Canadian income tax payers. Such a stretch and act of faith is now beyond my always limited athletic talents and hard-pressed access to spontaneous uplifted optimism. And Trump's tax reductions are also likely to drain investment, and some people, from Canada. There is nothing for it but to sketch out the major problems of this proposed dawn raid on our material lives. Dividends to family members will be subject to an unimaginably intrusive and costly analysis by tax collectors of whether the recipients have earned these dividends, and of whether intra-family asset sales or sales of businesses are at fair prices. Taxes on estates, where ownership of businesses is involved, become very complicated and costly, and any utilization of trusts, no matter how traditional, becomes a tenebrous jungle full of hostile beasts and serpents employed by the federal government to impoverish you and your heirs. An arm's length sale of such a business will attract a tax of up to 26 per cent, while an intra-family sale could be taxed at up to 45 per cent. Combined with proposed vote-buying (and job-losing) increases in the minimum wage in Ontario, this will cut deeply into small business profitability, the permanent principal source of any country's economic strength and growth. 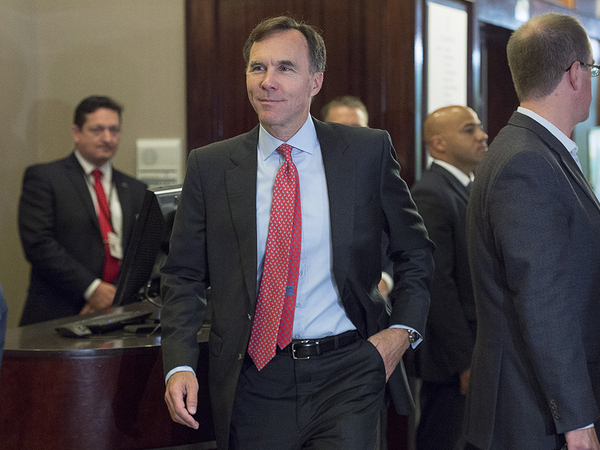 In the last federal budget, the minister of finance promised to facilitate the continuity of family businesses; the proposed measures are a 180 degree turn from that declared objective. He also promised tax simplification; what is now proposed is a nightmarish labyrinth that invites tax inspectors to ransack the entire private corporate sector demanding payments aggressively before the new rules have been judicially interpreted, with, no doubt, their customary courtesy and discretion (which could put much of the population unused to such official harassment on suicide watch). Proposed treatment of passive income will discourage savings and retention of earnings in small and medium businesses, and assert pressure to avoid prudent reserves for contingencies or unforeseen opportunities and problems and restrict the ability of management in small and medium businesses to manage sensibly. The administration of these changes and their interpretation by the courts, and any experienced taxpayer knows to fear the worst in these areas, will take many years to adjudicate and clarify, even in the absence of further changes, which cannot be assumed. It required 17 years for the Supreme Court of Canada to settle the impact of the original general avoidance rules, and there is no reason to believe that measures as complex, meddlesome and authoritarian as these will be less time consuming for the establishment of a comprehensible framework. Such uncertainty will create very difficult conditions for corporate planning as it will be impossible to be confident what rate of tax will be applied to different categories of income and assets. It is entirely likely that the cost of imposing and collecting and adjudicating these taxes will exceed the revenue to the federal government. This approaches the salt tax in the last days of the Bourbon monarchy in 18th-century France, which required 250,000 agents to collect and helped bring on the French Revolution. Canadian taxpayers are unlikely to have the satisfaction that the French had then of sending those responsible for this tax to the guillotine, or of being exalted by the glorious victories of Napoleon (unacceptably costly in all respects though they ultimately were). Lawyers and some doctors will be singled out for particular oppression, which to opponents of this nasty and dangerous legislation is welcome, given their political influence and the bar's skill at lobbying. If implemented, these rules could drive large numbers of doctors out of the country, and Canada is already the 27th out of 35 advanced economies in its per capita number of doctors. About half the deficiency of 25,000 doctors just to get to the 35 country-average was caused by Pierre Trudeau and Monique Begin's abolition of private medicine ("over-billing") in 1983. The imposition of these measures would aggravate this shortcoming and cause even the most complacent Canadians, who imagine they have a brilliant health-care system, to see and feel its deficiencies, which would become starkly more obvious, especially long waiting lists for many services and the outright (though unadmitted) rationing of health care to lower income groups. These are bad measures, proposed by a fiscally incontinent government in mid-summer and with a condensed 75-day consultation process. If adopted as they are, it may enable the regime to squiggle through the next election, greasing its way with slippery claptrap about egalitarian fairness, but it will be a national disaster of slow economic growth and a reaccelerated brain drain that will take a generation to redress. This beastly set of proposals should be strangled in its cradle, but the willing hands to give it what the Supreme Court could eagerly recognize as death with dignity are not now visible. Note: I would like to thank many people for making research available to me, especially Eddy Burello and John Hughes of MNP, and the former minister of finance, my friend of many years, the Honourable Joe Oliver.